This article is about the tetrarchy created by Diocletian. For the tetrarchy formed from the kingdom of Herod, see Tetrarchy (Judea). For other uses, see Tetrarch (disambiguation). The term "tetrarchy" (from the Greek: τετραρχία, tetrarchia, "leadership of four [people]")[a] describes any form of government where power is divided among four individuals, but in modern usage usually refers to the system instituted by Roman Emperor Diocletian in 293, marking the end of the Crisis of the Third Century and the recovery of the Roman Empire. This tetrarchy lasted until c. 313, when mutually destructive civil wars eliminated most of the claimants to power, leaving Constantine in control of the western half of the empire, and Licinius in control of the eastern half. Although the term "tetrarch" was current in antiquity, it was never used of the imperial college under Diocletian. Instead, the term was used to describe independent portions of a kingdom that were ruled under separate leaders. The tetrarchy of Judaea, established after the death of Herod the Great, is the most famous example of the antique tetrarchy. The term was understood in the Latin world as well, where Pliny the Elder glossed it as follows: "each is the equivalent of a kingdom, and also part of one" (regnorum instar singulae et in regna contribuuntur). As used by the ancients, the term describes not only different governments, but also a different system of government from the Diocletianic arrangements. The Judaean tetrarchy was a set of four independent and distinct states, where each tetrarch ruled a quarter of a kingdom as they saw fit; the Diocletianic tetrarchy was a college led by a single supreme leader. When later authors described the period, this is what they emphasized: Ammianus had Constantius II admonish Gallus for disobedience by appealing to the example in submission set by Diocletian's lesser colleagues; his successor Julian compared the Diocletianic tetrarchs to a chorus surrounding a leader, speaking in unison under his command. Only Lactantius, a contemporary of Diocletian and a deep ideological opponent of the Diocletianic state, referred to the tetrarchs as a simple multiplicity of rulers. Much modern scholarship was written without the term. Although Edward Gibbon pioneered the description of the Diocletianic government as a "New Empire", he never used the term "tetrarchy"; neither did Theodor Mommsen. It did not appear in the literature until used in 1887 by schoolmaster Hermann Schiller in a two-volume handbook on the Roman Empire (Geschichte der Römischen Kaiserzeit), to wit: "die diokletianische Tetrarchie". Even so, the term did not catch on in the literature until Otto Seeck used it in 1897. The first phase, sometimes referred to as the diarchy ("rule of two"), involved the designation of the general Maximian as co-emperor—firstly as Caesar (junior emperor) in 285, followed by his promotion to Augustus in 286. Diocletian took care of matters in the eastern regions of the empire while Maximian similarly took charge of the western regions. In 293, Diocletian thought that more focus was needed on both civic and military problems, so with Maximian's consent, he expanded the imperial college by appointing two Caesars (one responsible to each Augustus)—Galerius and Constantius Chlorus. In 305, the senior emperors jointly abdicated and retired, allowing Constantius and Galerius to be elevated in rank to Augustus. They in turn appointed two new Caesars—Severus II in the west under Constantius, and Maximinus in the east under Galerius—thereby creating the second Tetrarchy. Map of the Roman Empire under the Tetrarchy, showing the dioceses and the four tetrarchs' zones of influence. 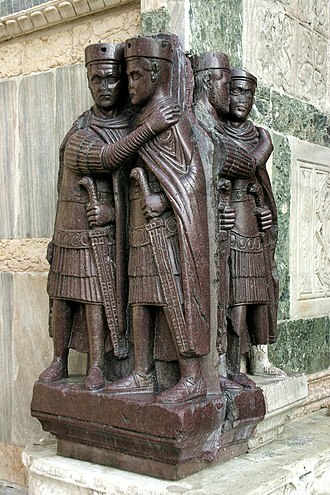 The four tetrarchs based themselves not at Rome but in other cities closer to the frontiers, mainly intended as headquarters for the defence of the empire against bordering rivals (notably Sassanian Persia) and barbarians (mainly Germanic, and an unending sequence of nomadic or displaced tribes from the eastern steppes) at the Rhine and Danube. These centres are known as the tetrarchic capitals. 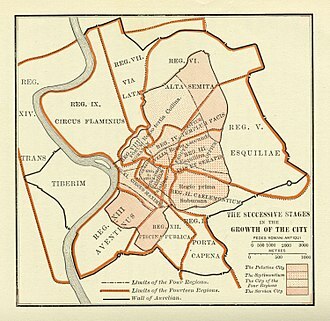 Although Rome ceased to be an operational capital, Rome continued to be nominal capital of the entire Roman Empire, not reduced to the status of a province but under its own, unique Prefect of the City (praefectus urbi, later copied in Constantinople). Nicomedia in northwestern Asia Minor (modern Izmit in Turkey), a base for defence against invasion from the Balkans and Persia's Sassanids was the capital of Diocletian, the eastern (and most senior) Augustus; in the final reorganisation by Constantine the Great, in 318, the equivalent of his domain, facing the most redoubtable foreign enemy, Sassanid Persia, became the pretorian prefecture Oriens, 'the East', the core of later Byzantium. Sirmium (modern Sremska Mitrovica in the Vojvodina region of modern Serbia, and near Belgrade, on the Danube border) was the capital of Galerius, the eastern Caesar; this was to become the Balkans-Danube prefecture Illyricum. Mediolanum (modern Milan, near the Alps) was the capital of Maximian, the western Augustus; his domain became "Italia et Africa", with only a short exterior border. Augusta Treverorum (modern Trier, in Germany) was the capital of Constantius Chlorus, the western Caesar, near the strategic Rhine border; it had been the capital of Gallic emperor Tetricus I. This quarter became the prefecture Galliae. Aquileia, a port on the Adriatic coast, and Eboracum (modern York, in northern England near the Celtic tribes of modern Scotland and Ireland), were also significant centres for Maximian and Constantius respectively. In terms of regional jurisdiction there was no precise division among the four tetrarchs, and this period did not see the Roman state actually split up into four distinct sub-empires. Each emperor had his zone of influence within the Roman Empire, but little more, mainly high command in a 'war theater'. Each tetrarch was himself often in the field, while delegating most of the administration to the hierarchic bureaucracy headed by his respective Pretorian Prefect, each supervising several Vicarii, the governors-general in charge of another, lasting new administrative level, the civil diocese. For a listing of the provinces, now known as eparchy, within each quarter (known as a praetorian prefecture), see Roman province. In the West, the Augustus Maximian controlled the provinces west of the Adriatic Sea and the Syrtis, and within that region his Caesar, Constantius, controlled Gaul and Britain. In the East, the arrangements between the Augustus Diocletian and his Caesar, Galerius, were much more flexible. However, it appears that some contemporary and later writers, such as the Christian author Lactantius, and Sextus Aurelius Victor (who wrote about fifty years later and from uncertain sources), misunderstood the tetrarchic system in this respect, believing it to have involved a stricter division of territories among the four emperors. Although power was shared in the tetrarchic system, the public image of the four emperors in the imperial college was carefully managed to give the appearance of a united empire (patrimonium indivisum). This was especially important after the numerous civil wars of the 3rd century. The tetrarchs appeared identical in all official portraits. Coinage dating from the tetrarchic period depicts every emperor with identical features—only the inscriptions on the coins indicate which one of the four emperors is being shown. The Byzantine sculpture Portrait of the Four Tetrarchs shows the tetrarchs again with identical features and wearing the same military costume. One of the greatest problems facing emperors in the Third Century Crisis was that they were only ever able to personally command troops on one front at any one time. While Aurelian and Probus were prepared to accompany their armies thousands of miles between war regions, this was not an ideal solution. Furthermore, it was risky for an emperor to delegate power in his absence to a subordinate general, who might win a victory and then be proclaimed as a rival emperor himself by his troops (which often happened). All members of the imperial college, on the other hand, were of essentially equal rank, despite two being senior emperors and two being junior; their functions and authorities were also equal. Under the Tetrarchy a number of important military victories were secured. Both the Dyarchic and the tetrarchic system ensured that an emperor was near to every crisis area to personally direct and remain in control of campaigns simultaneously on more than just one front. After suffering a defeat by the Persians in 296, Galerius crushed Narseh in 298—reversing a series of Roman defeats throughout the century—capturing members of the imperial household and a substantial amount of booty and gaining a highly favourable peace treaty, which secured peace between the two powers for a generation. Similarly, Constantius defeated the British usurper Allectus, Maximian pacified the Gauls, and Diocletian crushed the revolt of Domitianus in Egypt. When in 305 the 20-year term of Diocletian and Maximian ended, both abdicated. Their Caesares, Galerius and Constantius Chlorus, were both raised to the rank of Augustus, and two new Caesares were appointed: Maximinus (Caesar to Galerius) and Flavius Valerius Severus (Caesar to Constantius). These four formed the second tetrarchy. Constantine at the battle of the Milvian Bridge, fresco by Raphael, Vatican Rooms. However, the system broke down very quickly thereafter. When Constantius died in 306, Galerius promoted Severus to Augustus while Constantine, Constantius' son, was proclaimed Augustus by his father's troops. At the same time, Maxentius, the son of Maximian, who also resented being left out of the new arrangements, defeated Severus before forcing him to abdicate and then arranging his murder in 307. Maxentius and Maximian both then declared themselves Augusti. By 308 there were therefore no fewer than four claimants to the rank of Augustus (Galerius, Constantine, Maximian and Maxentius), and only one to that of Caesar (Maximinus). In 308 Galerius, together with the retired emperor Diocletian and the supposedly retired Maximian, called an imperial "conference" at Carnuntum on the River Danube. The council agreed that Licinius would become Augustus in the West, with Constantine as his Caesar. In the East, Galerius remained Augustus and Maximinus remained his Caesar. Maximian was to retire, and Maxentius was declared an usurper. This agreement proved disastrous: by 308 Maxentius had become de facto ruler of Italy and Africa even without any imperial rank, and neither Constantine nor Maximinus—who had both been Caesares since 306 and 305 respectively—were prepared to tolerate the promotion of the Augustus Licinius as their superior. After an abortive attempt to placate both Constantine and Maximinus with the meaningless title filius Augusti ("son of the Augustus", essentially an alternative title for Caesar), they both had to be recognised as Augusti in 309. 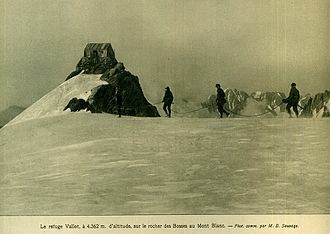 However, four full Augusti all at odds with each other did not bode well for the tetrarchic system. Between 309 and 313 most of the claimants to the imperial office died or were killed in various civil wars. Constantine forced Maximian's suicide in 310. Galerius died naturally in 311. Maxentius was defeated by Constantine at the Battle of the Milvian Bridge in 312 and subsequently killed. Maximinus committed suicide at Tarsus in 313 after being defeated in battle by Licinius. By 313, therefore, there remained only two emperors: Constantine in the West and Licinius in the East. The tetrarchic system was at an end, although it took until 324 for Constantine to finally defeat Licinius, reunite the two halves of the Roman Empire and declare himself sole Augustus. After the retirement of the two Augusti both previous Caesares succeeded them, and two new Caesares were appointed. Maximinus Daia was Galerius' nephew. After the death of Constantius his legions proclaim his son Constantine the new Augustus, but Galerius elevates Severus to be the new junior Augustus and compensates Constantine with the rank of Caesar. After the death of Severus, Constantine does not succeed him. 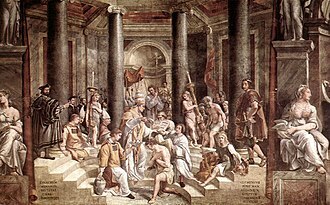 At the council of Carnutum, Diocletian decides that Licinius will be the new Augustus of the West. After the death of Galerius he was succeeded by Maximinus Daia in as Augustus of the East, but is crowded by Licinius, who wants to have the status of the senior Augustus. Maximinus appoints no new Caesar, although it was assumed that this position should later on be filled out with the son of Severus, Flavius Severianus, or at least that he was scheduled for this position. Shortly before the turn of the year 316/317, Constantine, now Augustus in the West, appointed a Caesar, while Licinius briefly appointed one of his officers, Valerius Valens, as the third Augustus. This was apparent from coins, though Valens was apparently inferior to Licinius, who soon executed him. Even the chronology is unclear, as the date stamping could also be the turn of the year 314/315. The tetrarchic system is at its end. Both Augusti appoint their own sons as co-emperors, restoring a dynastic system. However, before his death, Licinius appoints the General Martinianus on 3 July 324 as Augustus in name only, as Martinianus was intended to replace Constantine in the west. Although the tetrarchic system as such only lasted until 313 CE, many aspects of it survived. The fourfold regional division of the empire continued in the form of Praetorian prefectures, each of which was overseen by a praetorian prefect and subdivided into administrative dioceses, and often reappeared in the title of the military supra-provincial command assigned to a magister militum. The pre-existing notion of consortium imperii, the sharing of imperial power, and the notion that an associate to the throne was the designated successor (possibly conflicting with the notion of hereditary claim by birth or adoption), was to reappear repeatedly. 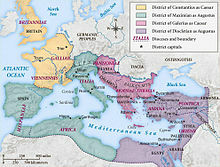 The idea of the two halves, the east and the west, re-emerged and eventually resulted in the permanent de facto division into two separate Roman empires after the death of Theodosius I, though it is important to remember that the empire was never formally divided, the emperors of the eastern and western halves legally ruling as one imperial college until the fall of Rome's western empire left Byzantium, the "second Rome", sole direct heir. Tetrarchies in the ancient world existed in both Thessaly (in northern Greece) and Galatia (in central Asia Minor; including Lycaonia) as well as among the British Cantiaci. The constellation of Jewish principalities in the Herodian kingdom of Judea was known as a tetrarchy; see Tetrarchy (Judea). In the novel The Lion, the Witch and the Wardrobe, the Pevensie siblings rule Narnia as a tetrarchy of two kings and two queens. ^ Historian David Potter translates the term as "gang of four". See idem., Constantine the Emperor (Oxford: Oxford University Press, 2013), 1. ^ Qtd. and tr. Leadbetter, Galerius, 3. ^ Amm. 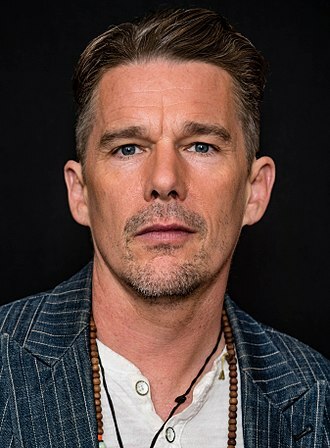 Marc. 14.11.10; Jul. Caes. 315A-B. 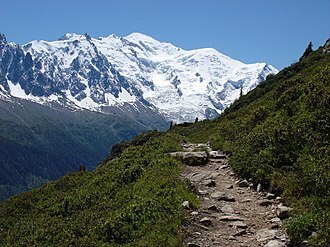 ^ The chronology has been thoroughly established by Kolb, Diocletian, and Kuhoff, Diokletian. Barnes, Timothy D. (1984). Constantine and Eusebius. Harvard University Press. ISBN 0-674-16531-4. Bowman, Alan (2005). The Cambridge Ancient History Volume 12, The Crisis of Empire, AD 193–337. Cambridge University Press. ISBN 0-521-30199-8. Corcoran, Simon (2000). The Empire of the Tetrarchs, Imperial Pronouncements and Government AD 284–324. Oxford University Press. ISBN 0-19-815304-X. Leadbetter, William Lewis (2009). Galerius and the Will of Diocletian. London and New York: Routledge. Rees, Roger (2004). Diocletian and the Tetrarchy. Edinburgh, UK: Edinburgh University Press. Wikimedia Commons has media related to Tetrarchy. 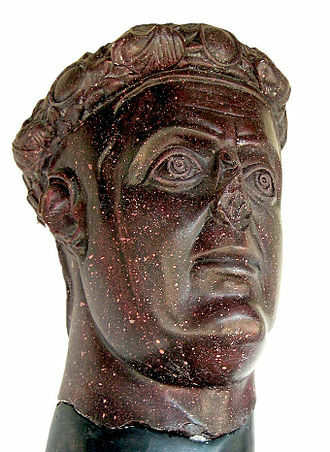 Constantius I was Roman Emperor from 293 to 306, commonly known as Constantius Chlorus. He was the father of Constantine the Great and founder of the Constantinian dynasty, as Caesar, he defeated the usurper Allectus in Britain and campaigned extensively along the Rhine frontier, defeating the Alamanni and Franks. 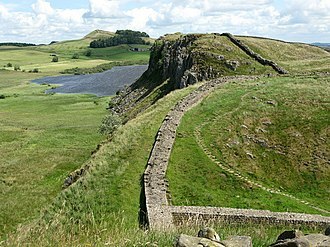 Upon becoming Augustus in 305, Constantius launched a punitive campaign against the Picts beyond the Antonine Wall. However, Constantius died suddenly in Eboracum the following year and his death sparked the collapse of the tetrarchic system of government inaugurated by the Emperor Diocletian. Constantius was a member of the Protectores Augusti Nostri under the emperor Aurelian, by 288, his period as governor now over, Constantius had been made Praetorian Prefect in the west under Maximian. To strengthen the ties between the emperor and his powerful military servant, in 289 Constantius divorced his wife Helena, and married the emperor Maximian’s daughter, Theodora. By 293, conscious of the ambitions of his co-emperor for his new son-in-law, Diocletian divided the administration of the Roman Empire into two halves, a Western and an Eastern portion. Each would be ruled by an Augustus, supported by a Caesar, both Caesars had the right of succession once the ruling Augustus died. At Milan on March 1,293, Constantius was formally appointed as Maximian’s Caesar and he adopted the names Flavius Valerius and was given command of Gaul and possibly Hispania. Diocletian, the eastern Augustus, in order to keep the balance of power in the imperium elevated Galerius as his Caesar, Constantius was the more senior of the two Caesars, and on official documents he always took precedence, being mentioned before Galerius. Constantius’ capital was to be located at Augusta Treverorum, Constantius’ first task on becoming Caesar was to deal with the Roman usurper Carausius who had declared himself emperor in Britannia and northern Gaul in 286. In late 293, Constantius defeated the forces of Carausius in Gaul and this precipitated the assassination of Carausius by his rationalis Allectus, who assumed command of the British provinces until his death in 296. Constantius spent the two years neutralising the threat of the Franks who were the allies of Allectus, as northern Gaul remained under the control of the British usurper until at least 295. 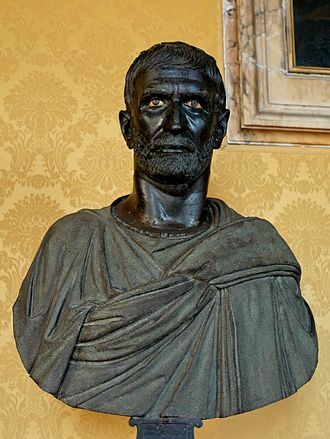 Maximinus II, known as Maximinus Daia or Maximinus Daza, was Roman Emperor from 308 to 313. He became embroiled in the Civil wars of the Tetrarchy between rival claimants for control of the empire, in which he was defeated by Licinius, a committed pagan, he engaged in one of the last persecutions of Christians. 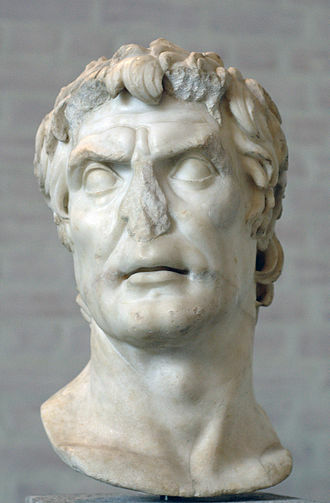 He was born of Dacian peasant stock to the sister of the emperor Galerius near their lands around Felix Romuliana. He rose to high distinction after joining the army, in 305, his maternal uncle Galerius became the eastern Augustus and adopted Maximinus, raising him to the rank of caesar, and granting him the government of Syria and Egypt. On the death of Galerius in 311, Maximinus divided the Eastern Empire between Licinius and himself, when Licinius and Constantine began to make common cause, Maximinus entered into a secret alliance with the usurper Caesar Maxentius, who controlled Italy. He came to a rupture with Licinius in 313, he summoned an army of 70,000 men. He fled, first to Nicomedia and afterwards to Tarsus, where he died the following August and his death was variously ascribed to despair, to poison, and to the divine justice. The Christian writer Eusebius claims that Maximinus was consumed by avarice and he suffered no one to surpass him in debauchery and profligacy, but made himself an instructor in wickedness to those about him, both rulers and subjects. Why need we relate the licentious, shameless deeds of the man, for he could not pass through a city without continually corrupting women and ravishing virgins. According to Eusebius, only Christians resisted him, in all they showed patience in behalf of religion rather than transfer to idols the reverence due to God. And the women were not less manly than the men in behalf of the teaching of the Divine Word, as they endured conflicts with the men, and when they were dragged away for corrupt purposes, they surrendered their lives to death rather than their bodies to impurity. He refers to one high-born Christian woman who rejected his advances and he exiled her and seized all of her wealth and assets. Eusebius does not give the girl a name, but Tyrannius Rufinus calls her Dorothea and this story may have evolved into the legend of Dorothea of Alexandria. The Constitution of the Roman Empire was an unwritten set of guidelines and principles passed down mainly through precedent. After the fall of the Roman Republic, the balance of power shifted from the Roman Senate to the Roman Emperor. Beginning with the first emperor, the emperor and the senate were technically two co-equal branches of government, in practice, however the actual authority of the imperial senate was negligible, as the emperor held the true power of the state. During the reign of the second Roman Emperor, the powers that had held by the Roman assemblies were transferred to the senate. The powers of an emperor existed by virtue of his legal standing, the two most significant components to an emperors power were the tribunician powers and the proconsular powers. The tribunician powers gave the authority over Romes civil government. While these distinctions were clearly defined during the empire, eventually they were lost. The traditional magistracies that survived the fall of the republic were the Consulship, Plebeian Tribunate, Quaestorship, any individual of the senatorial class could run for one of these offices. 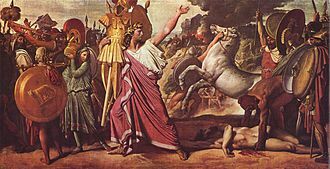 Mark Antony abolished the offices of Roman Dictator and Master of the Horse during his Consulship in 44 BC, in the year 88 BC, Lucius Cornelius Sulla was elected Consul of the Roman Republic, and began a civil war. While it ended within a decade, it was the first in a series of wars that wouldnt end until the year 30 BC. The general who won the last civil war of the Roman Republic, Gaius Octavian, Octavian was the adopted son and heir of Julius Caesar. In the years after 30 BC, Octavian set out to reform the Roman constitution, the ultimate consequence of these reforms was the abolition of the republic, and the founding of the Roman Empire. When Octavian returned to Rome two years after defeating Mark Antony, no one remained to oppose him, decades of war had taken a terrible toll on the People of Rome. The political situation was unstable, and there was a constant threat of renewed warfare, octavians arrival alone caused a wave of optimism to ripple throughout Italy. As soon as he arrived, he began addressing the problems that were plaguing Rome, octavians popularity soon reached new heights, which ultimately gave him the support he needed to implement his reforms. Flavius Julius Crispus, known as Flavius Claudius Crispus and Flavius Valerius Crispus, was a Caesar of the Roman Empire. He was the son of Constantine I and Minervina. Crispus year and place of birth are uncertain and his mother Minervina was either a concubine or a first wife to Constantine. Nothing else is known about Minervina, in 307, Constantine allied to the Italian Augusti, and this alliance was sealed with the marriage of Constantine to Fausta, daughter of Maximian and sister of Maxentius. The marriage of Constantine to Fausta has caused historians to question the status of his relation to Minervina. If Minervina was his wife, Constantine would have needed to secure a divorce before marrying Fausta. However, Minervina may have already been dead by 307, a widowed Constantine would need no divorce. Neither the true nature of the relationship between Constantine and Minervina nor the reason Crispus came under the protection of his father will probably be known. The offspring of an illegitimate affair could have caused problems and would likely be dismissed. This can be seen as evidence of a loving and public relationship between Constantine and Minervina which gave him a reason to protect her son, the story of Minervina is quite similar to that of Constantines mother Helena. Constantine in turn may have had to put aside Minervina in order to secure an alliance with the same man, Constantius did not however dismiss Constantine as his son, and perhaps Constantine chose to follow the example of his father. Whatever the reason, Constantine kept Crispus at his side, surviving sources are unanimous in declaring him a loving and protective father to his first son. 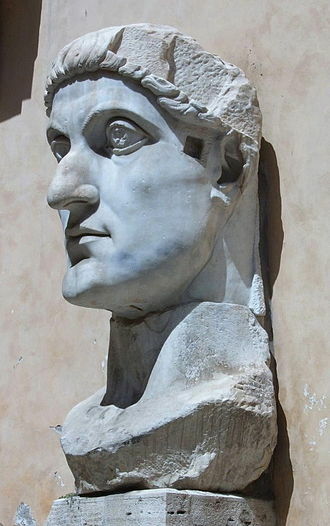 Constantine even entrusted his education to Lactantius, among the most important Christian teachers of that time, by 313, there were two remaining Augusti in control of the Roman Empire. Constantine reigned as a Western Roman Emperor and his brother-in-law Licinius as an Eastern Roman Emperor, on 1 March 317, the two co-reigning Augusti jointly proclaimed three new Caesars, alongside his younger half-brother Constantine II and his first cousin Licinius Iunior. The Constitution of the Late Roman Empire was an unwritten set of guidelines and principles passed down mainly through precedent. 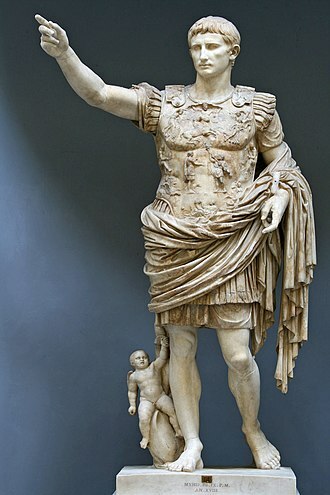 The constitution of the Roman Principate, which was established by the emperor Augustus in the 1st century BC, had governed the Roman Empire for three centuries, Diocletian became emperor in 284, and his reign marked the end of the Principate and the beginning of the Dominate. The constitution of the Dominate ultimately recognized monarchy as the source of power. After Diocletian had reorganized the superstructure of the constitution, he reorganized the administrative apparatus of the government. When Diocletian abdicated the throne in 305, the Empire quickly descended back into chaos, after the chaos had subsided, much of Diocletians constitution remained in effect. His division of the Empire into west and east, with each half under the command of a separate emperor, especially Constantine the Great, and Justinian modified Diocletians constitution. Under Diocletians new constitution, power was shared between two emperors called Augusti, one Augustus was to rule the western half of the Empire, and the other Augustus was to rule the eastern half of the Empire. Diocletian made Maximian his co-Augustus, and gave him the Western Empire, Diocletian made Nicomedia his capital, and Maximian made Milan his capital. To make the two halves symbolically appear to be one, Diocletian called his territory patres Orientis, while Maximian called his territory patres Occidentis, the Augusti were legally distinct from the old Princeps, because under the Principate, the Princeps took the place of the old republican magistrates. Under the Republic and the Principate, only the Senate and legislative assemblies were continuous institutions, under Diocletians new Dominate, the Augusti took the place of the Senate and the assemblies, and thus any decree of an Augustus remained in force even after that particular emperor left office. Such an act could only be invalidated by a future Emperor, the logical extension of this concept meant that neither a magistrate, the assemblies, nor the senate, could legally restrain the Emperor. The old republican magistrates, as well as the Princeps, both had legal status, under the Republic, the state gave the magistrates the authorization to hold their office, while under the Principate, the state gave the Princeps the legal authorization to be emperor. Any Augusti, in contrast, did not need authorization from the state to be emperor, the higher authority of the Augusti was illustrated by their robes and the imperial diadem, as well as the elaborate ceremony required of anyone who approached them. Unlike the old Princeps, the Augusti were viewed as being more than mortal and these honors had, in the past, been reserved only for the Gods. While emperors had received honors in the past, they only received these honors after their death, and yet. In 293, Diocletian and Maximian appointed two Caesares, which resulted in an arrangement known as the Tetrarchy, the Caesares were subordinate to their Augusti, and the only authority that they had was that which had been given to them by their Augusti. Their status was so inferior to the Augusti that they received a fixed salary, the powers that were delegated to them usually included the right to hear appeals, and a set of provinces were often assigned to them so that they could supervise the governors of those provinces. Diocletian, born Diocles, was a Roman emperor from 284 to 305. Born to a family of low status in the Roman province of Dalmatia, after the deaths of Carus and his son Numerian on campaign in Persia, Diocletian was proclaimed emperor. The title was claimed by Carus other surviving son, Carinus. Diocletians reign stabilized the empire and marks the end of the Crisis of the Third Century and he appointed fellow officer Maximian as Augustus, co-emperor, in 286. Diocletian delegated further on 1 March 293, appointing Galerius and Constantius as Caesars, under this tetrarchy, or rule of four, each emperor would rule over a quarter-division of the empire. Diocletian secured the borders and purged it of all threats to his power. He defeated the Sarmatians and Carpi during several campaigns between 285 and 299, the Alamanni in 288, and usurpers in Egypt between 297 and 298, aided by Diocletian, campaigned successfully against Sassanid Persia, the empires traditional enemy. In 299 he sacked their capital, Diocletian led the subsequent negotiations and achieved a lasting and favorable peace. He established new centres in Nicomedia, Antioch. 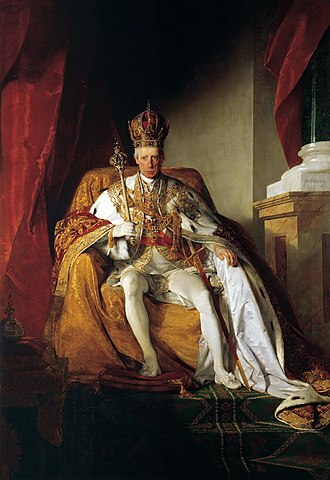 Building on third-century trends towards absolutism, he styled himself an autocrat, elevating himself above the masses with imposing forms of court ceremonies. Bureaucratic and military growth, constant campaigning, and construction increased the states expenditures. From at least 297 on, imperial taxation was standardized, made more equitable, not all of Diocletians plans were successful, the Edict on Maximum Prices, his attempt to curb inflation via price controls, was counterproductive and quickly ignored. 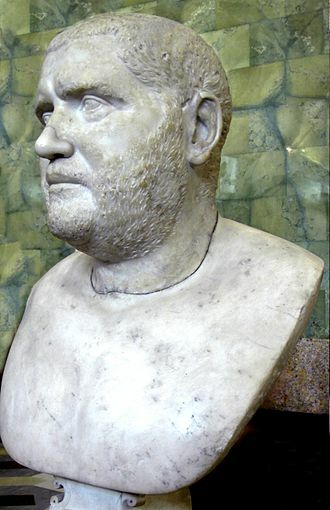 Weakened by illness, Diocletian left the office on 1 May 305. He lived out his retirement in his palace on the Dalmatian coast and his palace eventually became the core of the modern-day city of Split in Croatia. Diocletian was born near Salona in Dalmatia, some time around 244 and his parents gave him the Greek name Diocles, or possibly Diocles Valerius. The modern historian Timothy Barnes takes his official birthday,22 December, other historians are not so certain. For the saint of the same name see Saint Maxentius Maxentius was Roman Emperor from 306 to 312. He was the son of former Emperor Maximian and the son-in-law of Emperor Galerius, the latter part of his reign was preoccupied with civil war, allying with Maximinus II against Licinius and Constantine. The latter defeated him at the Battle of the Milvian Bridge in 312, Maxentius exact date of birth is unknown, it was probably around 278. He was the son of the Emperor Maximian and his wife Eutropia, as his father became emperor in 285, he was regarded as crown prince who would eventually follow his father on the throne. He seems not to have served, however, in any important military or administrative position during the reign of Diocletian, the exact date of his marriage to Valeria Maximilla, daughter of Galerius, is unknown. He had two sons, Valerius Romulus and an unknown one, in 305, Diocletian and Maximian abdicated, and the former caesares Constantius and Galerius became Augusti. Although two sons of emperors were available and Maxentius, they were passed over for the new tetrarchy, Maxentius retired to an estate some miles from Rome. When Constantius died in 306, his son Constantine was crowned emperor on July 25 and this set the precedent for Maxentius accession in the same year. Maxentius accepted the honour, promised donations to the citys troops, the usurpation obviously went largely without bloodshed, the prefect of Rome went over to Maxentius and retained his office. 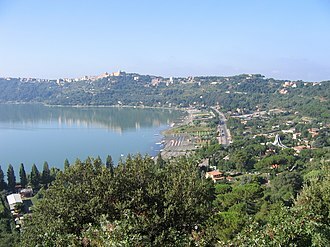 Apparently the conspirators turned to Maximian as well, who had retired to a palace in Lucania, Maxentius managed to be recognized as emperor in central and southern Italy, the islands of Corsica and Sardinia and Sicily, and the African provinces. Northern Italy remained under the control of the western Augustus Severus, Maxentius refrained from using the titles Augustus or Caesar at first and styled himself princeps invictus, in the hope of obtaining recognition of his reign by the senior emperor Galerius. However, the latter refused to do so, apart from his alleged antipathy towards Maxentius, Galerius probably wanted to deter others from following the examples of Constantine and Maxentius and declaring themselves emperors. It was during this period that Romes control expanded from the citys immediate surroundings to hegemony over the entire Mediterranean world. During the first two centuries of its existence, the Roman Republic expanded through a combination of conquest and alliance, by the following century, it included North Africa, most of the Iberian Peninsula, and what is now southern France. Two centuries after that, towards the end of the 1st century BC, it included the rest of modern France and much of the eastern Mediterranean. By this time, internal tensions led to a series of wars, culminating with the assassination of Julius Caesar. The exact date of transition can be a matter of interpretation, Roman government was headed by two consuls, elected annually by the citizens and advised by a senate composed of appointed magistrates. Over time, the laws that gave exclusive rights to Romes highest offices were repealed or weakened. The leaders of the Republic developed a tradition and morality requiring public service and patronage in peace and war, making military. Many of Romes legal and legislative structures can still be observed throughout Europe and much of the world in modern nation states, the exact causes and motivations for Romes military conflicts and expansions during the republic are subject to wide debate. While they can be seen as motivated by outright aggression and imperialism and they argue that Romes expansion was driven by short-term defensive and inter-state factors, and the new contingencies that these decisions created. 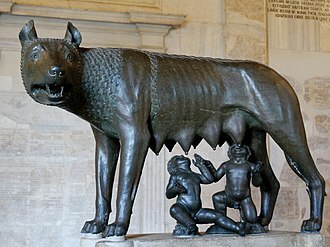 In its early history, as Rome successfully defended itself against foreign threats in central and northern Italy, with some important exceptions, successful wars in early republican Rome generally led not to annexation or military occupation, but to the restoration of the way things were. But the defeated city would be weakened and thus able to resist Romanizing influences. It was able to defend itself against its non-Roman enemies. It was, more likely to seek an alliance of protection with Rome and this growing coalition expanded the potential enemies that Rome might face, and moved Rome closer to confrontation with major powers. Theodosius I divided the Empire upon his death between his two sons. As the Roman Republic expanded, it reached a point where the government in Rome could not effectively rule the distant provinces. Communications and transportation were especially problematic given the vast extent of the Empire, for this reason, provincial governors had de facto rule in the name of the Roman Republic. Antony received the provinces in the East, Achaea and Epirus, Bithynia and Asia, Syria and these lands had previously been conquered by Alexander the Great, much of the aristocracy was of Greek origin. The whole region, especially the cities, had been largely assimilated into Greek culture. 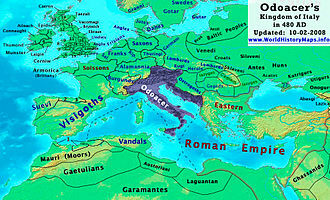 Octavian obtained the Roman provinces of the West, Gaul, Gallia Belgica and these lands included Greek and Carthaginian colonies in the coastal areas, though Celtic tribes such as Gauls and Celtiberians were culturally dominant. Lepidus received the province of Africa. Octavian soon took Africa from Lepidus, while adding Sicilia to his holdings, upon the defeat of Mark Antony, a victorious Octavian controlled a united Roman Empire. While the Roman Empire featured many distinct cultures, all were often said to experience gradual Romanization, minor rebellions and uprisings were fairly common events throughout the Empire. Conquered tribes or cities would revolt, and the legions would be detached to crush the rebellion, while this process was simple in peacetime, it could be considerably more complicated in wartime, as for example in the Great Jewish Revolt. In a full-blown military campaign, the legions, under such as Vespasian, were far more numerous. To ensure a commanders loyalty, an emperor might hold some members of the generals family hostage. To this end, Nero effectively held Domitian and Quintus Petillius Cerialis, governor of Ostia, the rule of Nero ended only with the revolt of the Praetorian Guard, who had been bribed in the name of Galba. The Praetorian Guard, a sword of Damocles, were often perceived as being of dubious loyalty. Following their example, the legions at the increased participation in the civil wars. Porphyry is a textural term for an igneous rock consisting of large-grained crystals such as feldspar or quartz dispersed in a fine-grained silicate rich, generally aphanitic matrix or groundmass. The larger crystals are called phenocrysts, in its non-geologic, traditional use, the term porphyry refers to the purple-red form of this stone, valued for its appearance. The term porphyry is from Ancient Greek and means purple, purple was the color of royalty, and the imperial porphyry was a deep purple igneous rock with large crystals of plagioclase. Some authors claimed the rock was the hardest known in antiquity, Imperial grade porphyry was thus prized for monuments and building projects in Imperial Rome and later. Subsequently, the name was given to any igneous rocks with large crystals, the adjective porphyritic now refers to a certain texture of igneous rock regardless of its chemical and mineralogical composition. Its chief characteristic is a difference in size between the tiny matrix crystals and the much larger phenocrysts. Porphyries may be aphanites or phanerites, that is, the groundmass may have invisibly small crystals as in basalt, or crystals easily distinguishable with the eye, most types of igneous rocks display some degree of porphyritic texture. Porphyry deposits are formed when a column of rising magma is cooled in two stages, in the first, the magma is cooled slowly deep in the crust, creating the large crystal grains with a diameter of 2 mm or more. In the second and final stage, the magma is cooled rapidly at relatively shallow depth or as it erupts from a volcano, the term porphyry is used for a mineral deposit called a copper porphyry. The different stages of cooling that create porphyritic textures in intrusive and this enrichment occurs in the porphyry itself, or in other related igneous rocks or surrounding country rocks, especially carbonate rock. Collectively, these type of deposits are known as porphyry copper deposits, rhomb porphyry is a volcanic rock with gray-white large porphyritic rhomb- shaped phenocrysts embedded in a very fine-grained red-brown matrix. It survived the fragmentation and fall of the Western Roman Empire in the 5th century AD and continued to exist for an additional thousand years until it fell to the Ottoman Turks in 1453. During most of its existence, the empire was the most powerful economic, several signal events from the 4th to 6th centuries mark the period of transition during which the Roman Empires Greek East and Latin West divided. Constantine I reorganised the empire, made Constantinople the new capital, under Theodosius I, Christianity became the Empires official state religion and other religious practices were proscribed. Finally, under the reign of Heraclius, the Empires military, the borders of the Empire evolved significantly over its existence, as it went through several cycles of decline and recovery. During the reign of Maurice, the Empires eastern frontier was expanded, in a matter of years the Empire lost its richest provinces and Syria, to the Arabs. This battle opened the way for the Turks to settle in Anatolia, the Empire recovered again during the Komnenian restoration, such that by the 12th century Constantinople was the largest and wealthiest European city. Despite the eventual recovery of Constantinople in 1261, the Byzantine Empire remained only one of several small states in the area for the final two centuries of its existence. Its remaining territories were annexed by the Ottomans over the 15th century. The Fall of Constantinople to the Ottoman Empire in 1453 finally ended the Byzantine Empire, the term comes from Byzantium, the name of the city of Constantinople before it became Constantines capital. This older name of the city would rarely be used from this point onward except in historical or poetic contexts. The publication in 1648 of the Byzantine du Louvre, and in 1680 of Du Canges Historia Byzantina further popularised the use of Byzantine among French authors, however, it was not until the mid-19th century that the term came into general use in the Western world. The Byzantine Empire was known to its inhabitants as the Roman Empire, the Empire of the Romans, the Roman Republic, and as Rhōmais. 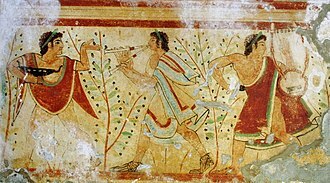 The inhabitants called themselves Romaioi and Graikoi, and even as late as the 19th century Greeks typically referred to modern Greek as Romaika and Graikika. Detail of the gable showing Venice's patron apostle St. Mark with angels. Underneath is a winged lion, the symbol of the saint and of Venice. The Basilica of Maxentius in the Roman Forum. Completed by his enemy Constantine, it was one of the most impressive edifices of ancient times. Maxentius as Augustus on a follis. This coin shows Flavia Maximiana Theodora, Constantius' second wife, with the goddess Pietas on the reverse. On the reverse of this argenteus struck in Antioch under Constantius Chlorus, the tetrarchs are sacrificing to celebrate a victory against the Sarmatians. Medal of Constantius I capturing Londinium (inscribed as LON) after defeating Allectus. Beaurains hoard. The Temple of Hercules Victor, Rome, built in the mid 2nd century BC, most likely by Lucius Mummius Achaicus, who won the Achaean War. Route of Pyrrhus in Italy and Sicily. Bust of Pyrrhus, found in the Villa of the Papyri at Herculaneum, now in the Naples Archaeological Museum. Pyrrhus was a brave and chivalrous general who fascinated the Romans, hence his presence in a Roman house. Artist's impression of the Senate in session, Cicero delivering his oration Catiline, from a 19th-century fresco. Gaius Gracchus, tribune of the people, presiding over the Plebeian Council, in an artist's impression from 1799. Statue of Emperor Constantine II as caesar on top of the Cordonata (the monumental ladder climbing up to Piazza del Campidoglio), in Rome. The Curia Julia in the Roman Forum, the seat of the imperial Senate. Wall relief depicting an Egyptian expedition to the Land of Punt during the reign of Hatshepsut. Temple at Yeha, possible capital of D'mt. King Ezana's Stele in Aksum. Mesolithic petroglyph in Valcamonica, Lombardy. The largest collection of prehistoric petroglyphs in the world (10th millennium BCE). Pyramid of Monte d'Accoddi is an archaeological site in northern Sardinia, Italy, located in the territory of Sassari near Porto Torres. 4th millennium BCE. Ötzi the oldest mummy in the world discovered in the southern Alps (region of Trentino-Alto Adige) with extremely sophisticated equipment to that time. 4th millennium BCE. Su Nuraxi nuraghe, Sardinia, Italy, 2nd millennium BCE.